Yes you can. A recent advisory opinion from Nebraska addressed this issue, and concluded that “given the impact of technology on how files can be retained, it is not reasonable or practical to keep physical/paper copies of every client file.” See Neb. Ethics Adv. Op. for Lawyers No. 17-02 at 3089 (Aug. 2017). Thus, nothing prohibits a lawyer from “keeping a closed client file in electronic form and immediately destroying the physical copy.” Id. at 3089.
the need to preserve confidentiality. Id. at 3092. 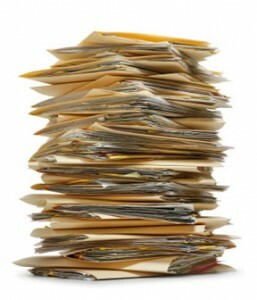 In most instances, a lawyer need not review each individual document. Rather, the lawyer can simply review broad categories of folders or boxes under consideration for destruction. However, the extent and nature of a lawyer’s predestruction review efforts will turn on the nature of the lawyer’s practice and the documents in issue. How Long Must You Keep Closed Files? Given these standards, a good rule of thumb is to keep client files for five (5) years following termination of the matter, unless there is a good reason for maintaining the file for a longer period of time. Such a good reason would exist if the file relates to unprescribed claims, to a minor, or if the file contains promissory notes, wills, trusts or similar “original” documents.